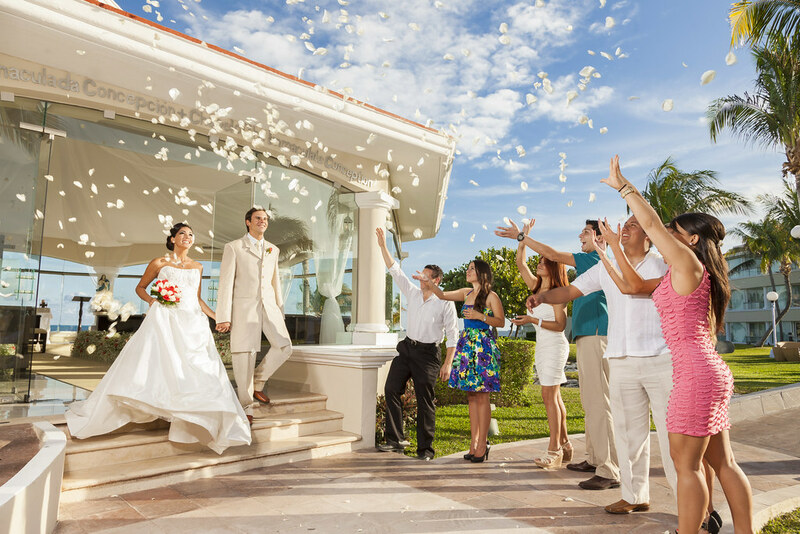 1.What made you decide on having a destination wedding? 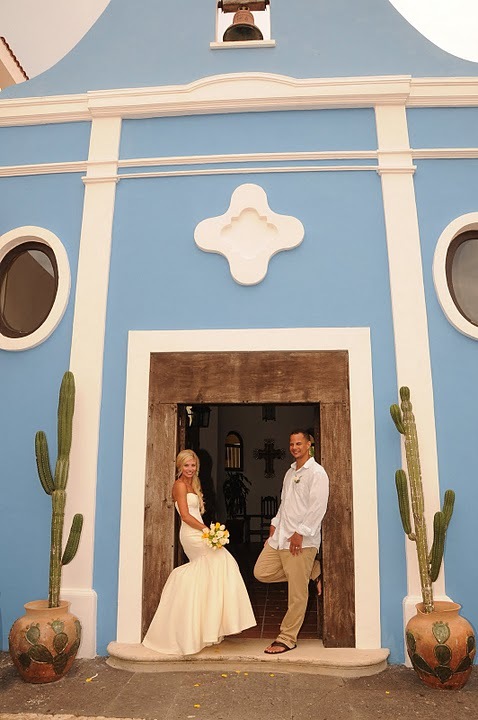 B&G – We went to a friend’s destination wedding in Mexico and had such a good time and realized it would be less stressful and less expensive than doing a wedding here at home. 2.What made you decide on the destination/resort/venue? 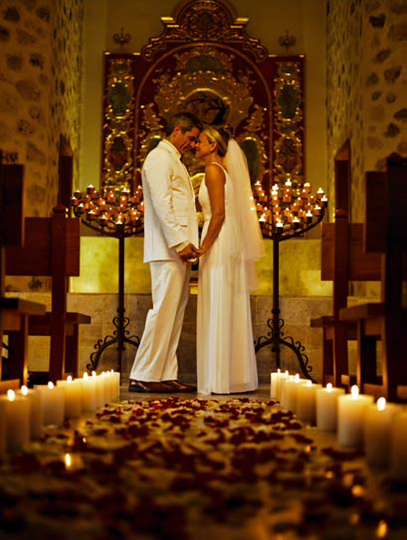 B&G – We picked Secrets Wild Orchid in Montego Bay, Jamaica because it was a good price, a little more than Mexico but less than the Bahamas. We also really liked the decor of the rooms and the large assortment of activities and restaurants. We wanted an adult only, all-inclusive resort. B&G – The highlight of the trip, other than our wedding, was how beautiful the scenery and sunsets were. A nice surprise was how big and nice the presidential suite was and that we had butlers. B&G – The wedding coordinators were great to work with and did their best to try to make everything how I wanted it. The minister was awesome! B&G – Go for it!!! It is a great way to get married. We had so much fun spending time with our friends and family. I would tell her that she may want to stay a few days after everyone else leaves or plan on going on a honeymoon later for some alone time. B&G – We had our wedding at 2:00 on the beach, because the later spot (4-5) was taken, but as my wedding planners told me, it was hot!!! Fortunately the guys wore white shirts and the girls wore dark purple dresses, so you could not tell in the pictures that we were all really sweating. Later would have been better, but there is a higher chance of showers later in the day. B&G – We thought that there would be less of a hassle with decisions and planning. This was also a second wedding for the both of us and we had both been through the “traditional” wedding and wanted something more low-key and easier. B&G – My husband wanted to have a wedding on the beach. 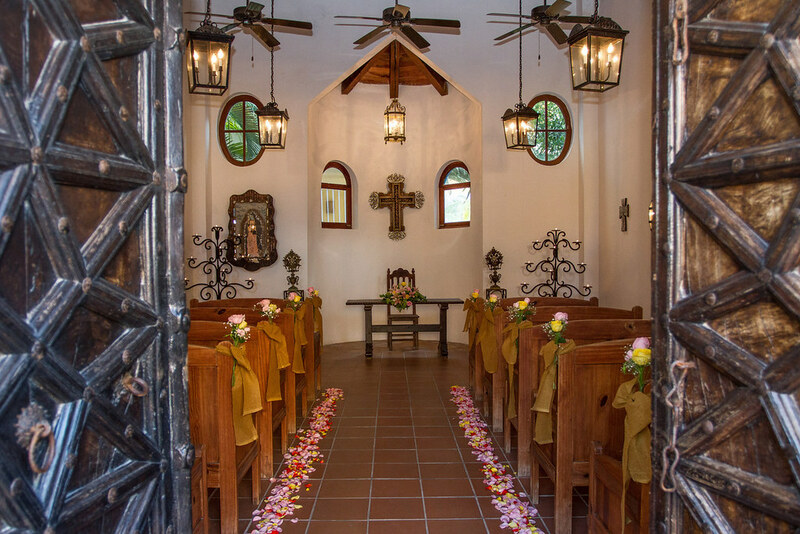 I had been to Secrets St. James before and had seen a lot of weddings. I knew that was exactly what I wanted and knew what I would be getting into. B&G- Honestly, I did not have any problems or difficulties.What was the highlight of the experience and what was the biggest surprise? 4.What was the highlight of the experience and what was the biggest surprise? B&G- The highlight of the experience was the beautiful wedding album that Secrets put together from the pictures we selected, and how calm, patient, and understanding the wedding crew was on the day of. The best surprise was all of the “extras” the resort gave us after the wedding. B&G- The resort staff was amazing. They were all friendly and very helpful and accommodating. Simone was a wonderful coordinator that was always in touch with me or Hannah. Communication was very clear and easy among all of the parties involved. 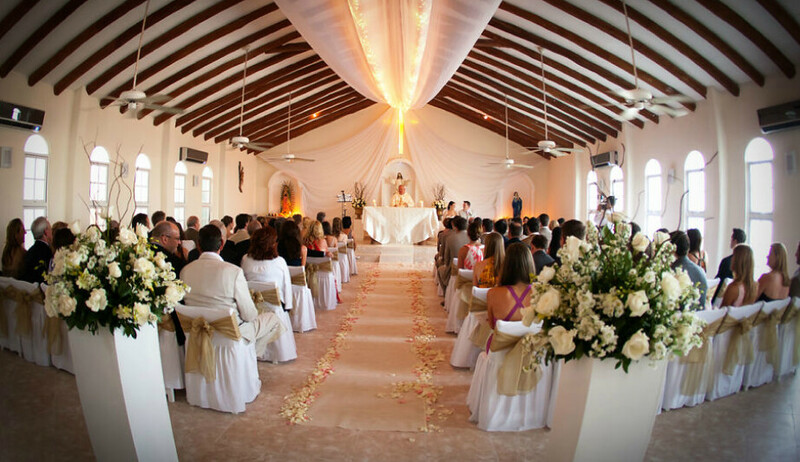 6.If your best friend were planning a destination wedding what would your advice be to her? B&G- Keep it simple. 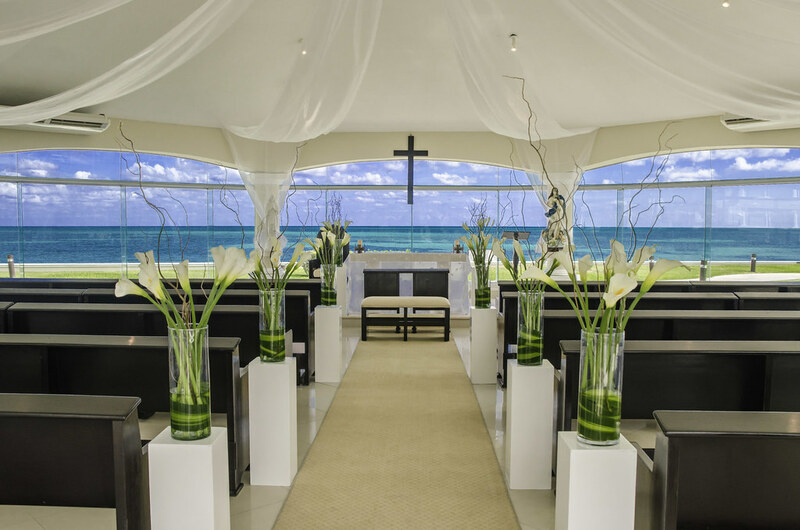 The view of a beach wedding and the sounds of the waves are all you really need in terms of decor. Trust your coordinator here in the States as well as your destination coordinator. 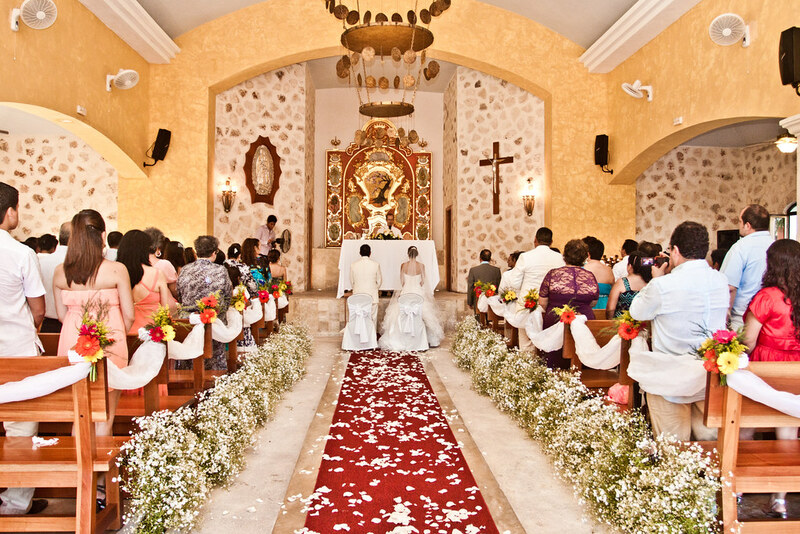 Never hesitate to ask a million questions wedding related or even travel related. B&G-I would have booked everything sooner, but we also got engaged in October and wanted to get married that Summer. You just have more to work with in terms of dates, times, and airfare pricing the earlier you book. Rain, rain go away Dennis and Sheila are getting married today! Fortunately, the skies cleared just enough for this sweet couple to celebrate their ceremony and share their I Do’s! Family and friends were able to snap a few pictures of the exchange!